Charleston is one of the most beautiful cities in the U.S. and a large part of its allure is an abundance of mature, stately, and gracious homes that reflect the City’s architecture, history, and culture. 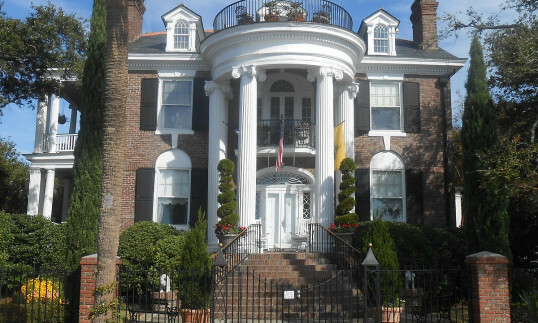 The Preservation Society of Charleston is proud to offer locals and guests the opportunity to see these beautifully-preserved edifices during their annual Fall Tour of Homes from October 4-28. These events include House and Garden tours, Curated Tours: Garden Walks and Talks, a Photography Walkabout and Workshop, and Guided Walking Tours. For more information, call the Preservation Society at (843) 405-1050. Also, this month, Save the Light is hosting a BBQ at Gold Bug Island on October 14. Proceeds will go toward the third phase of repairing, restoring and preserving the Morris Island Lighthouse. Lastly, don’t miss the Colour of Music Festival on October 24-28. With a focus on Baroque, the festival will feature choral and orchestral performances by premier black artists from Britain, France, the Caribbean, Colombia, and the U.S. A special finale performance of Bach’s Magnificat is planned as the highlight of an ‘Ode to Black Composers.’ For venues and additional details, call (843) 242-3099.